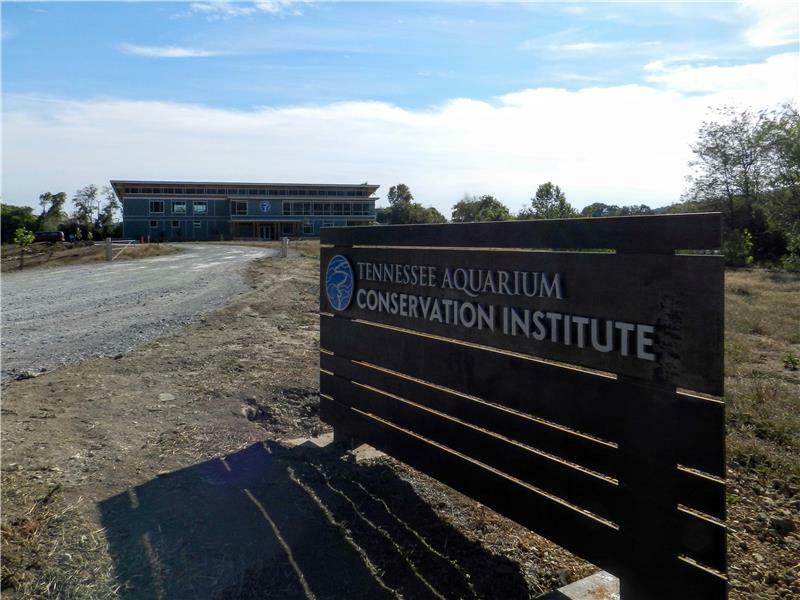 Within days of its grand opening on Oct. 27, the Tennessee Aquarium Conservation Institute (TNACI) invites high school science teachers to its new flagship conservation science facility on Thursday, Nov. 3 to share their ideas on how to partner with TNACI to create educational opportunities that complement traditional classroom learning. During the open house, area educators are invited to meet TNACI staff and tour the conservation institute’s sustainably designed building, which is equipped with a teaching lab that can seat up to 48, as well as dedicated laboratories for freshwater research. Teachers also will be able to participate in a couple of hands-on projects, including activities from Georgia Adopt-A-Stream and Project WET, both of which are interdisciplinary, environmental education programs focusing on innovative, experiential activities encompassing themes of water's physical and chemical characteristics, quantity and quality issues, aquatic wildlife, ecosystems, and management strategies. TNACI’s 14,000-square-foot facility is located on the banks of the Tennessee River just downstream from downtown Chattanooga. In addition to serving as a hub of active conservation efforts to safeguard the Southeast’s ecologically rich — yet imperiled — rivers and streams, the new building will serve as a one-of-a-kind science mentoring facility to help inspire and educate the next generation of conservation leaders. In the months since the groundbreaking for the new building in October 2015, TNACI staff have tried to think of ways to encourage teachers to take advantage of it as an educational resource. 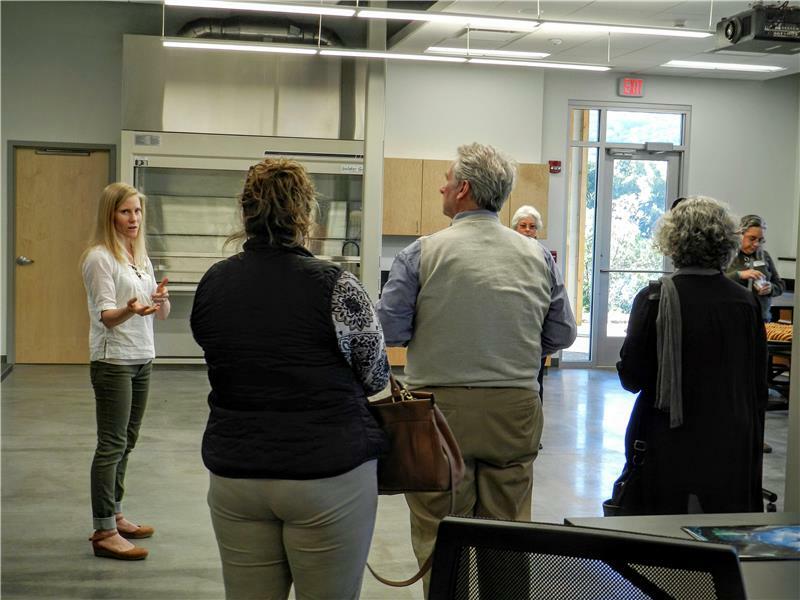 The hope is that, by showing the full extent of TNACI’s work and capabilities, teachers will be inspired to draft coursework that builds upon and is enhanced by the facility’s ongoing conservation initiatives. Thanks to its connection to EPB’s high-speed, Gigabit network, scientists at TNACI’s facility and in the field will be able to live stream on-site and interact with students. Durant predicts that functionality will be especially appealing to the visiting instructors. The open house will take place from 2 until 6 p.m. and is free to area educators. Pre-registration is requested at community.tnaqua.org/events/member-programs/fall/2016/tnaci-teachers-open-house. The rich biodiversity of Southeastern rivers and streams is unparalleled in the temperate world, with more than 1,400 aquatic species — including the vast majority of North America’s fishes, mussels, crayfishes, turtles and salamanders — living within a 500 mile circle of Chattanooga. “That ecological wealth isn’t just underwater, though, it’s also under the radar for many who live here, especially younger residents,” Ms. Durant said. During the first annual Freshwater Youth Summit on Saturday, Jan. 28, 2017, 40 area high school students will meet with experts from throughout the region, who will teach them about issues such as climate change and poor waste-water treatment that are imperiling the Southeast’s treasure trove of aquatic biodiversity. TNACI director Dr. Anna George will deliver a keynote address. Participating students will receive tutorials in social media promotion, team building, fund raising and other skills directly related to planning and executing a community freshwater conservation program. They’ll also hear from other teens who have completed conservation projects. By the time they leave, students will have developed a plan for a program that they can put into action in their own communities. The summit will last from 8:30 a.m. to 4 p.m. Pre-registration is required and will be available starting in December. Each student will receive lunch and a swag bag with reusable items as part of their admission packet. For more information about TNACI, its new facility and its conservational initiatives, visit www.tnaqua.org/protect-freshwater. Follow the institute on social media via www.facebook.com/TennesseeAquariumConservationInstitute or www.twitter.com/tnacigogreen.